A couple of favorite news from the world of Teams last week. Another week has gone by, and it has not been a week without announcements or releases around Teams or Skype for Business. Here is a little recap of what I consider the highlights of last week. 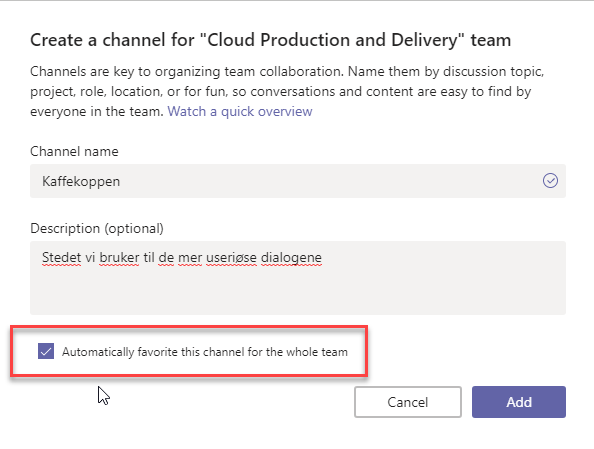 Auto-favorite a channel was released as a feature, allowing admins of Teams to help users mark important channels as favorite. 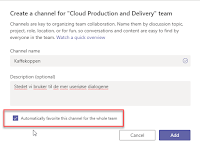 Users may still un-favorite these channels, but this can be a useful feature for new users to different teams. Techsummit in Sweden is over, and one of many great sessions was the one on security and compliance by Anne Michels. here deck is available at the Techcommunity. In short terms: If you want all the best and new features, you need to use the "app store" version of OneNote. It is basically replacing the Office version from now on.